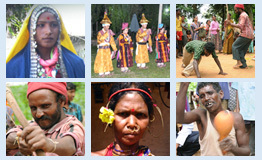 The Chiru language belongs to the Kuki-Chin sub-groups of Tibeto-Burman language family and has close affinities with other Kuki-Chin languages like Kom, Aimol, Koireng, Chorei, Ranglong, Rangkhol and Darlong. There is a lack of documentation of the language. It is not taught in schools and no air-time is available in electronic media like radio and television. So far a few biblical and hymnal books in Chiru have been published. The Roman script is used to write the Chiru language. The Bible and some song books are available in the Chiru language. A number of books titled Chiru Chonglelalui Rishim, Chiru Folk Lore, Chirugi Chatnabi Thajanabi Amashung Chinbung Warishing in Manipuri language, The Chiru Proverbs and Phrases, and Idioms and Poem and Mapak na are some of the books written by Angam Zatung Raja Chiru. The Chirus practice Christianity as their religion. Jhum Cultivation is the main occupation of Chiru people. They cultivate rice, maize, millet and vegetables. At present, an attempt to describe and document the language and to produce an English-Chiru dictionary along with documentation of the ethno linguistic profile is undergoing.